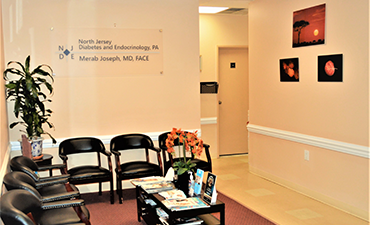 Welcome to North Jersey Diabetes and Endocrinology, a health center conveniently located in both Cliffside Park and Fair Lawn, New Jersey. We specialize in the diagnosis, treatment and management of all endocrinology diseases and disorders. Led by Dr. Merab Joseph, a renowned leader in the field of Endocrinology, we strive to provide our patients with an accurate diagnosis and our patient-centered philosophy involves educating patients about their treatment options. 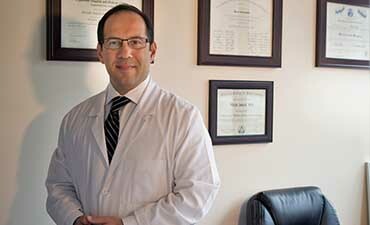 Dr. Joseph brings his vast knowledge and expertise to his practice and utilizes the most advanced technology to provide the highest level of care available. We use the latest therapies to treat all areas of endocrinology disorders, from diabetes and thyroid conditions to obesity and bone diseases. We treat patients of all ages, as many of these disorders begin in childhood and continue into adulthood. 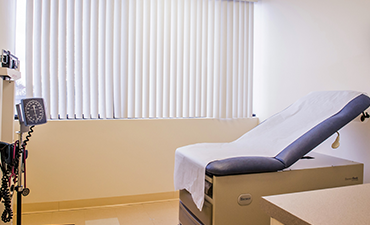 Our staff members are compassionate, caring and considerate throughout the diagnostic and treatment process and we aim to make your visits with us as comfortable and anxiety free as possible. We hope you will find this website to be a useful and interesting resource for all of your endocrinology concerns. If you would like more information about any of the conditions that we specialize in or to schedule an appointment, please call our office at the numbers listed above. Diabetes is the most commonly diagnosed disorder of the endocrine system. Type 1 diabetes occurs when the body’s immune system attacks the cells of the pancreas that produce insulin, resulting in the need for insulin injections to maintain proper blood sugar levels. Most Americans suffer from type 2 diabetes, which occurs when endocrine system is unable to produce, respond to, or otherwise utilize insulin properly, causing the body to have lower levels of energy. In rare cases, diabetes can result in chronic kidney failure without treatment. Gestational diabetes develops in women during pregnancy as a result of hormonal imbalance in the endocrine system. Certain hormones that are on the rise during pregnancy, including cortisol, estrogen, and human placental lactogen, all interfere with the body’s ability to properly control your blood sugar. When the pancreas fails to adapt to these hormonal shifts, blood sugar levels rise, resulting in gestational diabetes. For those who suffer from diabetes on a constant basis, a diabetes insulin pump can help you regain your freedom. Insulin pumps are computerized devices no larger than a small cell phone that can be easily worn on the belt or placed inside your pocket. This device works to control the endocrine system with a personalized program that can manage blood sugar 24 hours a day. Those who chose to utilize insulin pump therapy are required to check their blood sugar at least four times a day. Metabolic syndrome, also known as insulin resistance, is actually a combination of health problems which all cause the human body to be at higher risk of diabetes, stroke, and heart disease far earlier in life. They include obesity, high blood pressure, heart disease, abnormal cholesterol levels, and polycystic ovary syndrome. Metabolic syndrome is a lifelong condition, though lifestyle changes in diet and exercise can help one control their risk factors and thus reduce their risk of heart disease.